This High-efficiency Inline Duct Fan is able to move air through carbon filters, long stretches of ducting or grow light reflectors. With a tape flange, it is rather convenient for you to place the ducting on the Fan and tape it in place. 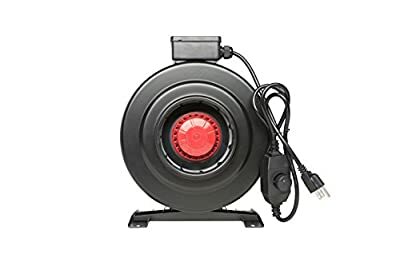 Exchange stale air with fresh air to keep temperature or humidity under control and cool your reflector with this top-quality Fan Safe and environmental friendly.